Less than a decade ago, finding any sort of Halloween celebration in Tokyo would have been tough. Then, suddenly, October revelry was everywhere you looked in the capital. 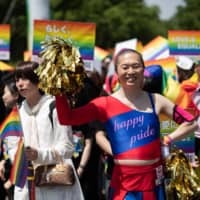 And in 2018, the spookiest event of the year has evolved once again in Japan: It’s now being held up as an example of hedonism by those arguing that society is in terminal decline. Well, not really Halloween per se. Most people still love creative costumes, children dressed up as just about anything and animals getting into the spirit of the event. We’re talking about Halloween celebrations in Shibuya, which exploded online last week after a steady stream of pictures and videos landed on social media highlighting debauchery in the neighborhood. Like many viral stories online, the internet reaction wasn’t only focused on a pop-up party gone wrong with a case of vehicular destruction thrown into the mix. Japanese netizens have always had an uneasy relationship with these types of large unofficial gatherings leading up to and including Oct. 31. There’s a general annoyance at what happens when thousands of people come together to stand around and drink (and inevitably leave a bunch of trash in the streets). Footage from a TV show about then-nascent Halloween happenings remains a meme online, primarily an interview with a guy who thinks it’s all pretty stupid. Still, Halloween celebrations in Shibuya this year gave netizens a series of attention-grabbing images and videos to latch on to. 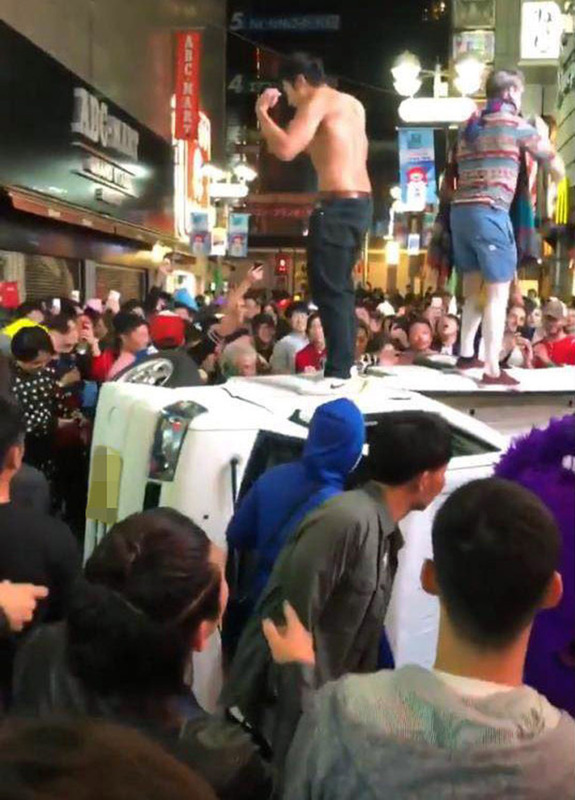 Let’s go down the list: People jumping on cars; scuffles featuring folk dressed as Waldo; punters screaming at cops; an older man taking creepy pictures of women; revelers pouring water into a ticket machine at a ramen restaurant (they apologized); trash galore; police arresting more than a dozen for groping, assault and theft; and a defining clip that might be associated with Halloween celebrations in Shibuya for years to come: a group of people on Sunday dancing on a truck, flipping it over — and then dancing on it again. In the days that followed, additional footage appeared on YouTube showing the driver actually beckoning people to climb up onto the bed of his truck. As one commenter noted, however, he didn’t urge them to push the vehicle over. A variety of media organizations broadcast this footage to even more viewers, including traditional television networks. Online publications, however, were able to offer the widest perspectives. 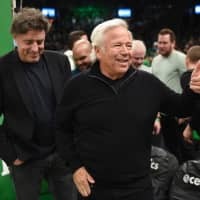 One popular story, written by a reporter for Spa! but shared on Livedoor News, offered further details from the front lines. Huffington Post Japan really leaned into it, offering summaries of the madness alongside further reports of how officials reacted. Blogos, among others, noted how Halloween doesn’t provide an economic boost for the neighborhood. Yahoo Japan went so far as to label it a mistake. Mainstream media tried to uncover the reasons behind the chaos, while regular online users attempted to identify the people involved. Whereas TV programs blurred faces, Twitter users posted screenshots in an effort to locate those who participated in the Halloween havoc. A few offered suggestions on how to fix Halloween in Shibuya — the most inspired suggestion being to make it more like a traditional matsuri festival. But assessing blame — namely, treating Halloween celebrations in Shibuya this year as an opportunity to push one’s own views onto a situation — took priority. Young people, in particular, received a lot of flak. You’d expect non-Japanese participants to bear the brunt of numerous false accusations, but that wasn’t really the case (with the exception of a few ultranationalists). If anything, many expressed concern about how this would actually look to those visiting the country, with others pointing out that several non-Japanese individuals had actually appeared to try and stop the truck from being flipped over. Many online pointed to a different external source of fear: Saitama. They believed that people living in the prefectures outside of the capital were actually responsible for causing the most damage. 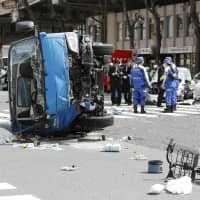 The best argument, however, was presented by Roadsider’s Weekly’s Facebook page, which said the main culprit for the carnage was Shibuya itself, having lost any sense of tradition worth protecting because of rampant redevelopment. It feels practically plastic, so who would respect it, especially when pushed over the edge by a few too many Strong Zeros? Blame aside, Halloween celebrations in Shibuya in 2018 appear to have left something of a stink on such celebratory gatherings, and the authorities are likely to take a long, hard look at this next year (local authorities are already considering charging revelers to take part in festivities in the future). Some online suggested that it might be better for Japan to embrace the American tradition of trick-or-treating. After all, kids getting candy from police officers does tend to leave a better impression on social media.